All Replies on Jet JWCS-10A-LFR What's it worth? Jet JWCS-10A-LFR What's it worth? That’s certainly on the high end. Though that label says “Cabinet Saw” this is certainly a hybrid. Cons on this would be: smaller motor, table mounted trunions, no riving knife, right tilt. The fence is probably the one pro. You’re right that for about ~$300 more (delivered) you could get a Grizzly hybrid delivered that fixes a few of these issues: cabinet mounted trunions, left tilt, riving knife. Fence won’t be as good, but more than adequate. Realistically I’d be comparing this saw to the Rigid/Delta hybrids that run about $600. Depending on your market, you should be able to find a decemt used Unisaw for $800. If you could get this down to $500-600 I’d consider it. PS: That fence is trashed and unusable as-is. 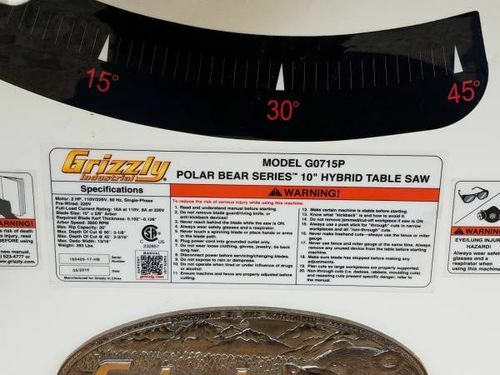 Currently looking online at a used Grizzly G0715P 10” hybrid Polar Bear Series that looks to be in very nice shape! 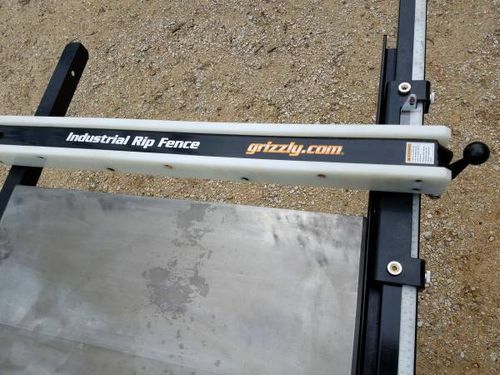 2HP motor, Griz industrial camlock T-style rip fence, left tilt, cast iron trunnions, cast iron table, riving knife and the list goes on. 45 minutes from my house too which is nice. At $995 asking price it’s probably on the high side and out of my budget at that price. My plan was to get a feel for what you guys think is a fair offer and maybe go from there. I’ll be selling my tried and true classic Makita 2708 with Rousseau table to help put toward the purchase of a nice hybrid or cabinet saw. I should not have a probably getting around $350 – $400 for it. I’d laugh that guy off the phone asking $995. That saw retailed for $895, so absent some huge haul of extras it’s way overpriced. I could see offering $600 for it. I d laugh that guy off the phone asking $995. That saw retailed for $895, so absent some huge haul of extras it s way overpriced. I could see offering $600 for it. My thoughts exactly Ed. Is this dude so out of touch that it’s not even worth trying to deal with him? Haha! 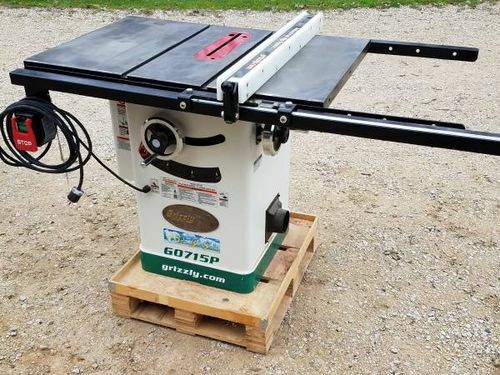 Seams like here in WI & IL sellers are asking way too much for their saws.